Edward Qasar and his father, Pastor Manzoor Jalal, have had a long term vision to establish a sewing factory in Lahore to both provide employment for local people and generate income for their ministry in Pakistan. The plan is to develop this factory so that eventually it will employ around 300 people. Lahore is the centre of the rag trade in Pakistan and Pakistan is the second largest textile and clothing export country in the world. The cotton standards in Pakistan are very high, better than India and Bangladesh, and Western buyers like Pakistan cotton. This factory will be largely established to produce export clothing. They already have contacts outside of Pakistan, mainly in Europe, and have sent samples which have been accepted. The quality is high and the material is fine. They are producing the kind of garment people in the West would purchase, casual wear, jeans, shorts and shirts for both men and women. It's modern and well made. 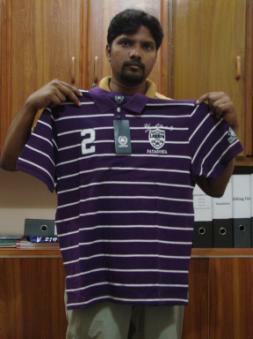 The styles are sent from the West and the factory will largely make orders for export. As well as export, a local sales representative will be marketing products and getting orders for local sales. It takes 5-30 days for completion of a local order. 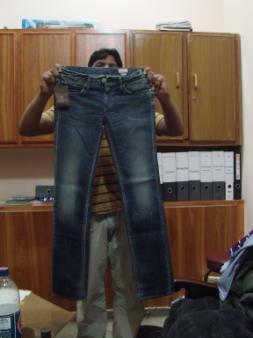 Each order is unique depending on the size of the order and the type of garment ordered. Initially they will start with 30 sewing machines and look to make around 300 pairs of jeans per day, concentrating on quality rather than quantity. Once everything is set up well they anticipate making 1,000 pairs per day. They will start with between 60-70 employees. Each machine will have a master sewer and each will have an assistant. The assistant will learn from the master and help with all the duties around each machine. Trained workers will also be required for cutting, washing, loops, belts, pockets, emblems, labels, packing, quality control and administration. The factory will be open 6 days a week from 8am-5pm. A Company has already been set up and is registered with the government. Tax issues have been worked out and they are registered for this. They have applied for a bank account and are able to receive Letters of Credit. For the first two years they will put 60% of the profit back into the business for set-up costs etc and 40% will be kept for the establishment of other partnerships. Expansion of the operation will be funded out from profit and eventually they would like to purchase land for a bigger factory in a commercial area. They have currently leased a building for five years. Recently a large factory in the area closed down leaving around 800 qualified and experienced people unemployed. There are many trained people available to work in the factory. Many of them will be employed in this new venture. In 2007 BHW was contacted by a group of people in Lahore who had commenced a programme of church growth and development. EGM (Evangelistic Gospel Ministries) have a great understanding of holistic ministry and seek to tell people about the Christian message and at the same time to help the poor and vulnerable. They had already commenced a number of sewing centres to assist women to train and to learn skills that would give them opportunities for employment. In late 2009 we commenced partnership with them by funding the establishment of a computer training centre (PAK02) and in 2010 assisted them to provide relief packages and rebuild houses following the devastating floods in Pakistan. This partnership will have numerous beneficiaries. First will be those employed by the venture, employing this number of people will have a huge impact on the local community. With the profits being turned back into various ministries, i.e. computer training programmes and sewing centres, literally hundreds will be lifted from their poverty and given new hope for economic self-sustainability. There are a number of things to like: The fact that this is entirely local in terms of initiative; there is low risk in that the machines are the largest capital item and they will still be there even if the venture failed; the clear vision for this to create self-sustainable ministry in a difficult country; the leadership and energy of those involved and the fact that many people will obtain employment in a community where there is little opportunity. There is much to like. 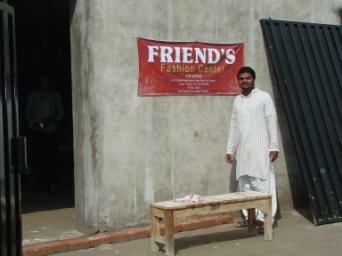 Manzoor Jalal is the pastor of the local church and also works full time as an electrical engineer. 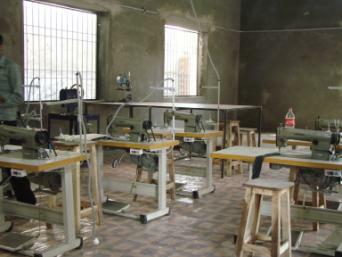 He has for many years had a vision to develop a large scale sewing factory to provide employment mainly for Christians who have little access to stable employment. He has been dreaming of this for many years but as he is fully employed in an existing factory and is pastoring a church as well, he has not had the time to develop it. Edward is a secondary school teacher in maths and science. 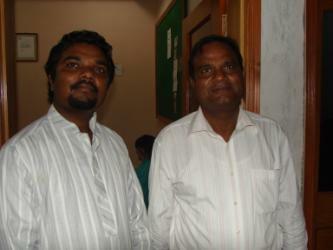 He teaches part time and does ministry with the other members of the EGM team. 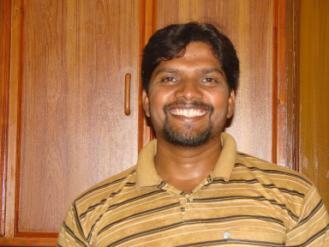 He has studied and completed at least 12 Emmaus courses in Urdu and has a Diploma of Theology from the Evangelical College of Western Australia. He is Manzoor Jalal's eldest son and is also involved in pastoral work. He has the time to develop the concept and it is now coming to pass. He has pulled a good team of enthusiastic younger people around him with the skills to make the business work. There are five members on the Board including Edward, his father, Shazad (factory manager) and two others. A Board sets the strategy to implement the vision. 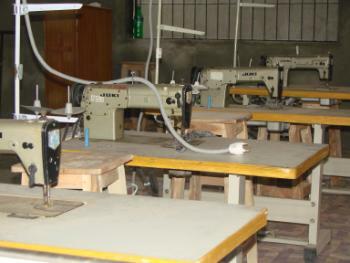 The total budget over a 2-3 year period to set up this sewing factory is around US$40,000. This has real potential to have a long term impact on a lot of people.